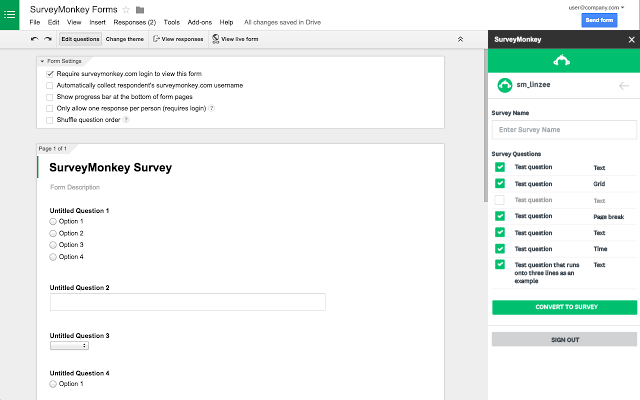 Turn your Google Forms into SurveyMonkey surveys. 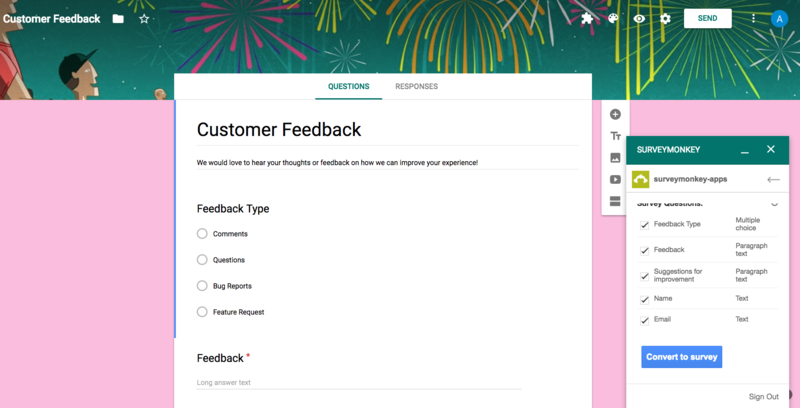 Use all of your favorite built-in features that come with SurveyMonkey, without having to rewrite your questions. Once you’ve converted, you’ll be able to collaborate on your newly created surveys with your team, and send them to respondents through email, Facebook Messenger, or via web link. This integration takes your Google information and sends it to SurveyMonkey. Hit the button at the top of this page, which will send you over to Google. Download the add-on by hitting the install button at the top right (you’ll need to log in to both your SurveyMonkey and Google accounts). 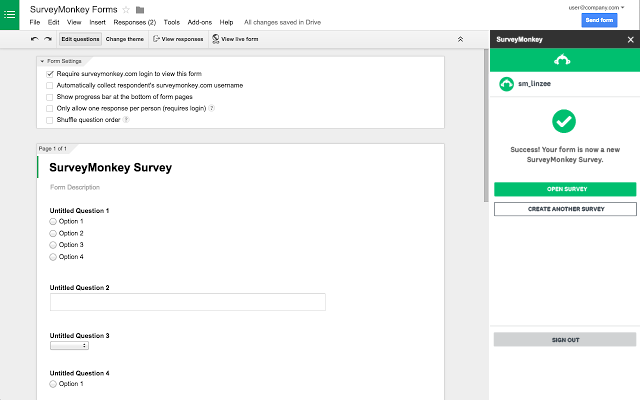 After connecting your accounts, you can import all or a selection of your Google Form questions to create a SurveyMonkey survey, all from within Google Forms. Need more info? Check out our Help Center.